We have a new catalogue with great new products and colours. 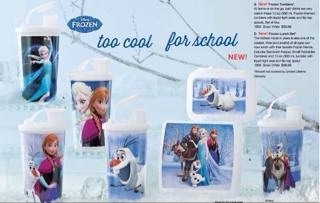 What's the hottest item in the new catalogue: Disney's Frozen lunch set and Tumblers set. Contact me to order yours now. Better yet--host a party and get yours free!